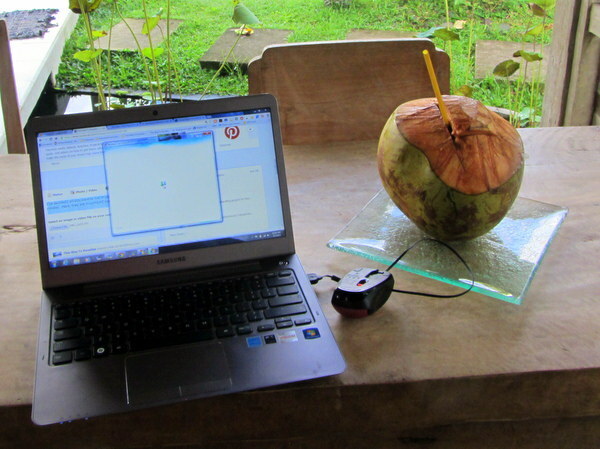 If you travel with a laptop, be very careful with hooking up to just any wireless hot spot. If the hot spot is labeled “free wi-fi”, use caution. Whether you are in a hotel, Starbucks, or an airport, one common travel scam has been for hackers to set up a non-secured hot spot that unsuspecting people hook up to. It’s actually not a “free wi-fi” hotspot that they are connected to, but to the hacker’s computer. The hacker can see the user’s passwords, financial information, and anything else that they are doing on their computer. This leaves their files and all of their personal information at risk. Many identity theft scams are caused by people who unknowingly hooked up to one of these networks. Also, the hacker can label the network anything they want. So if you are in a Starbucks and you see two networks named “Starbucks”, this doesn’t mean that both of those networks are actually being run by Starbucks. These type of networks are called ad hoc networks. All of your information can be seen on the hacker’s computer because you are unknowingly using his computer to use the internet. You can determine what kind of network you are connecting to by looking at the description of the network. If it says “computer to computer” rather than wireless network, then it is an ad hoc network, and you should stay away from it. In Windows Vista, there is no description. Instead you must look at the picture beside the network. If there is one computer, then you are connection to a normal network. If there are several computers, then it is an ad hoc network. You should NOT connect to this network. Windows Vista users are the easiest targets of one of these attacks because it isn’t as easy to tell what kind of network that you are connecting to. Also, anytime, you are on an unsecured network, it is a very good idea to turn off file sharing on your computer. Keep your information safe, and be careful when hooking up to an unsecured network. 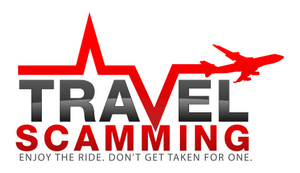 Great idea for a new site – Scams are getting a bit more rampant in Spain with the financial crisis, so having this information out there will be so beneficial for travelers. Thank you!! Yes, I’m hoping it will also encourage more people who are currently afraid to travel to get out there and travel by knowing what to be aware of!! True, it’s often a bad idea to join “Free-Wifi” – most frequently seen at airports. I travel with a VPN, so even on a more trustworthy network I join I can encrypt the connection – a helpful lesson learnt from living in China. That is great advice, Steve! what excellent advice – THANK YOU! Always pays to double check. I second Steve’s advice of traveling with a VPN! Very helpful – I had no idea as I generally don’t travel with my laptop that often. I will be soon though! Yikes! Thank you for this useful warning. Wow, thank you, I did not know this! Great advice, I have seen those networks, and have wondered sometimes why there were 2 Starbucks or what have you networks. Gaaa scams! Scary. Is the best way to be sure, to look at the network description and be sure to use, say, Starbucks or the hotel’s (or wherever you are)? Actually, Jennifer, they can name the network whatever they want, so you will still want to make sure to look at the description and make sure it is an actual network that you are connecting to. Thanks for the tip! I’m likely to be much more careful with my wifi now! I sometimes get a laugh out of funny unsecured network names e.g., CIA. I definitely don’t connect to networks willy nilly! Great tip, Val. And a very useful site. Thanks for the warning. I’ve never thought twice about connecting to a free wi-fi . You may have just saved me from a big financial headache! A good option is to use a VPN software. That way, even if you use a fake wifi network, they can’t see any of your data. That is very true, Mark! Thanks for the tip.